Check out all our special videos not associated with a specific season or series- including Rainni's On the Road Vlog! 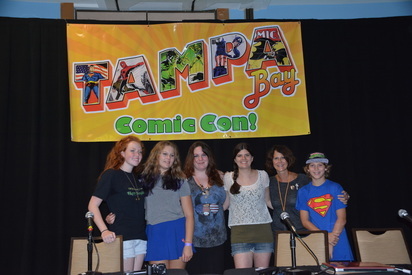 Check out our trips on the road to various comic cons, festivals and more from the eyes of our teenagers! Click the photo below to go to the Vlog page. Happy Holidays from the OSTSG family via the WebVee Guide virtual holiday card! See what happens when the crazy team behind OSTSG gets together to celebrate the season.